We are proud to be with Gov. Gina Raimondo and RI DEM Director Coit, along with folks from WaterFire Arts Center, Paul Cuffee Charter School, and other grant recipients at the the Steel Yard industrial art studios in Providence — celebrating RI’s plans to clean up former industrial sites and revitalize neighborhoods. 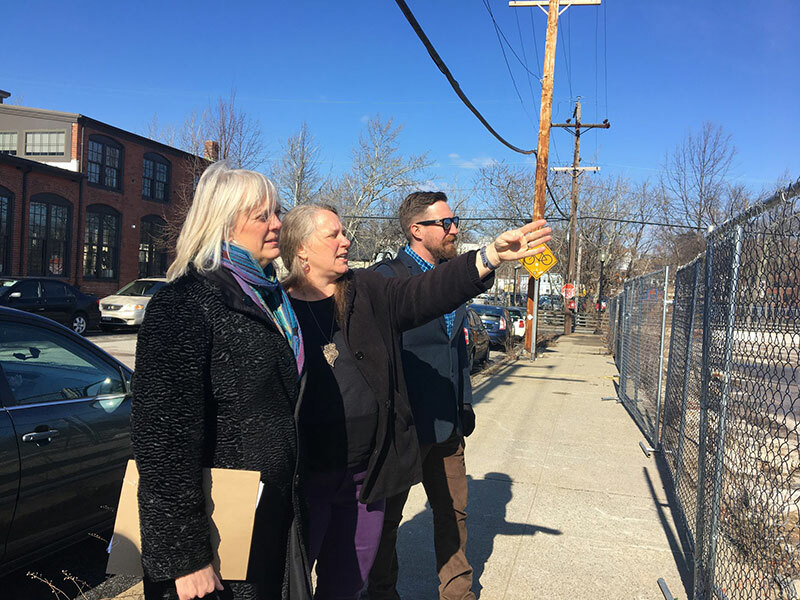 We are thankful to be receiving a Brownfields Grant toward development of the RI Food Hub on our recently remediated site on Kinsley Ave in the Valley Neighborhood of Providence. Watch video from the press conference courtesy Gina Raimondo, including the governor’s proposed 2018 Green Economy and Clean Water Bond to provide funding to improve parks, bikeways, and recreational areas; preserve open space; stand up to climate change; and clean up contaminated land for productive use. Photo shown courtesy RI DEM: DEM Director Coit with Farm Fresh RI’s Executive Directors Sheri Griffin & Jesse Rye.